Bryony completely sums up January for all of us in this post. We're all struggling financially after spending like crazy at Christmas, the days feel longer and we're all waiting for the warmer weather to return. Bryony says this time of year is definitely where we all need to invest ourselves into self-care. She is right, as we're at the end of January now, I hope we have all made it through this month in one piece! It wouldn't do us any harm if we all made the lifestyle changes like Emmie has suggested in this post. From getting up earlier (which unfortunately I've failed at, particularly on weekends) to drinking more water, one I definitely need to get better at this year. There are so many health benefits in doing that, so why aren't myself and many others doing the same? Also making your own meals is one lifestyle change I'm all for! I definitely need to make more meals from scratch rather than piercing the film lid several times on a ding meal. I think that this is the first time I've included Beth on one of my 'Blog Reads Of' posts. I don't know why I didn't do it sooner. This post she's written sounds like me in a nutshell in regards to how I feel about my job. I'm hating getting up on the Monday mornings, as I know I'm not in a job I don't feel passionately about anymore. Beth says one thing that really stands out - you have to work to get what you want. I'm also like Beth in that I want to do about 5 different occupations, is it possible? Quite possibly, if I work hard enough and I've got the time to fit it all in. This girl is just fashion goals and I love the direction Maria has decided to take her blog in this year. This post really caught my eye. Nobody doesn't seem to be making resolutions this new year. As Maria says, the infamous phrase 'New Year, New Me' hasn't been mouthed by anyone or been seen on social media. People are preferring to set themselves realistic goals rather than resolutions which they know they're not going to keep to. I wrote a post about ditching the habits I've made for myself in 2019 a few weeks back. I love Nia has decided to put her own spin on resolutions this year. Instead of saying 'This year, I'm going to get fit' she's tweaked it by saying this instead - 'This year I'm going to go to a Pilates class every Wednesday' . Such a clever and insightful way of how we can make our resolutions. I think I will definitely make resolutions this way from now on. Some of the things that Amie has suggested about what she hopes for in the Blogosphere this year are bang on. 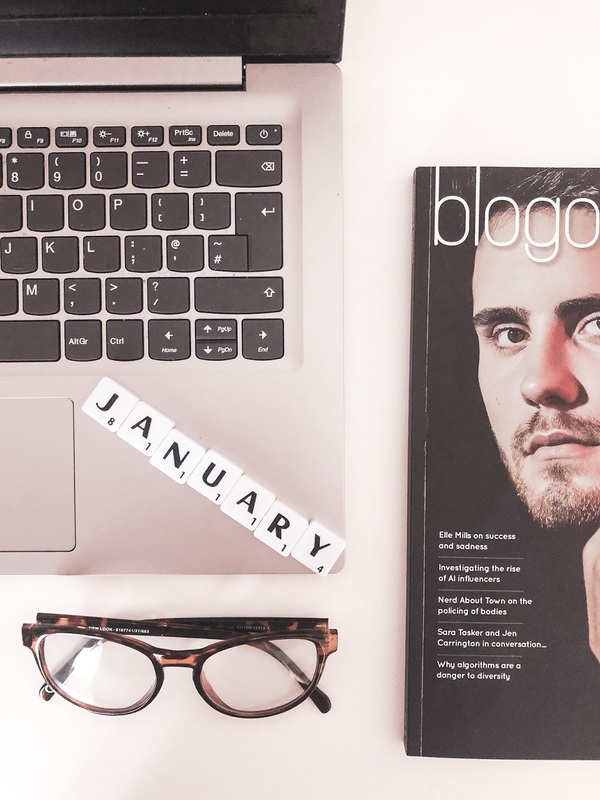 I think bloggers getting more opportunities which are not based on solely numbers is one I hope for all us blogger's in this next 12 months. All brands should assess a blogger by the quality not the quantity. Also I completely agree with Amie when she says she hopes the follow/unfollow game stops, as she says, that's a dream, but it's still good to hope for that to happen. There are so many things I wish I could tell my younger self. So reading this inspirational post from Chloe really touched me. Asking other blogger's, including myself, what they would tell their younger selves, is such a brilliant idea and concept for a blog post. I wish my younger self could read this post and take these points on board. 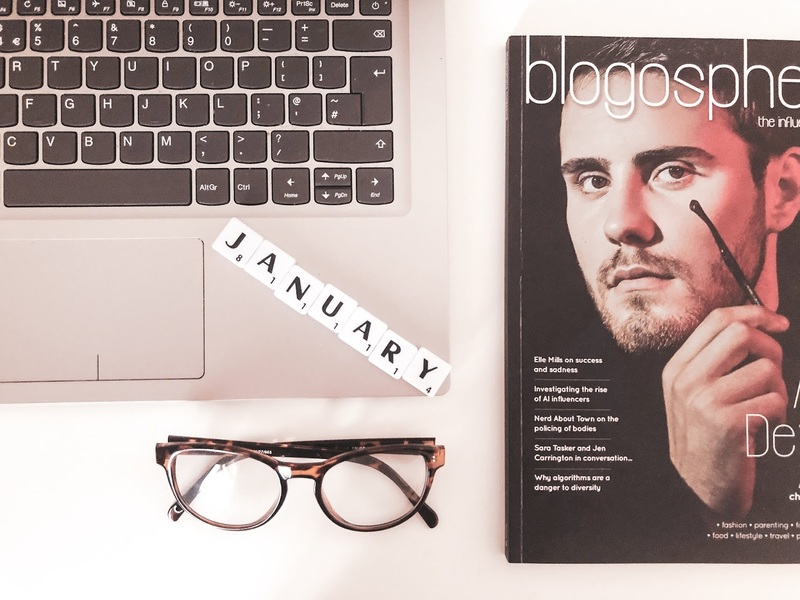 What have been your favourite blog posts this month? Let me know below! Has Social Media Taken Over Us? Dreams Can Become A Reality, Honestly! What Direction Do I Take My Blog In Now?